Delight your child with another great product by Janod. 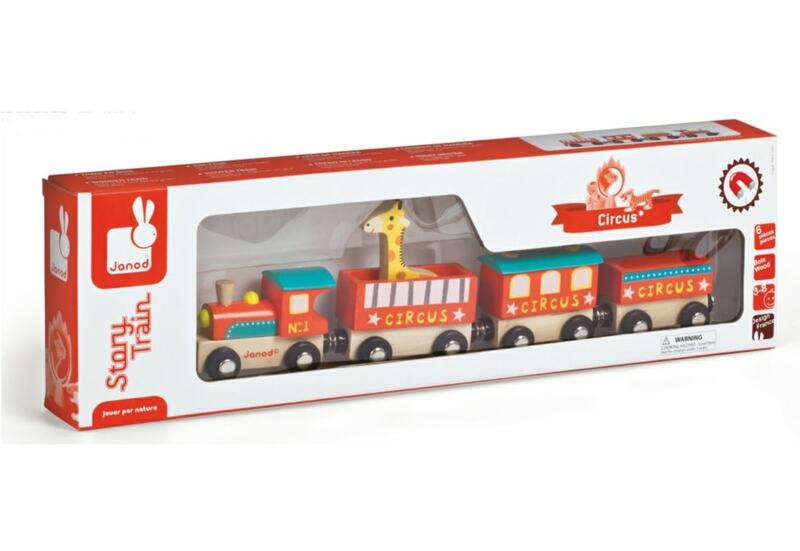 The circus will come puffing through town and into your child’s bedroom in this five-piece wooden circus train set. 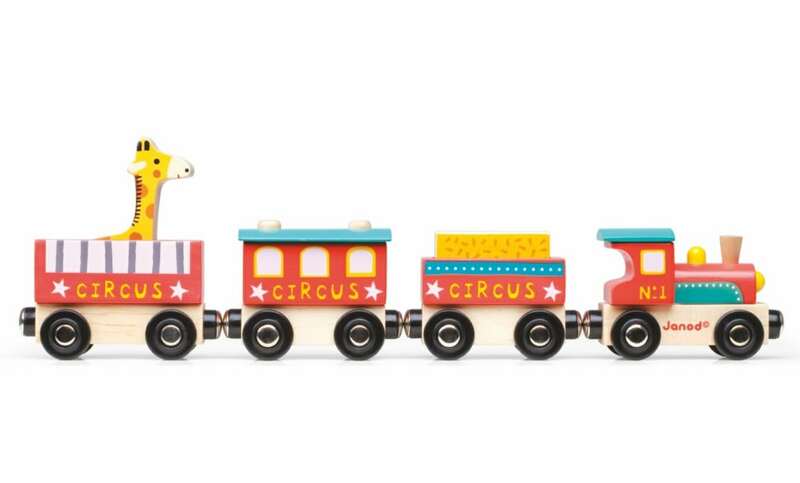 Each piece of the train connects and can be arranged magnetically, making it easy for your child to guide it along the floor. This set even comes with a giraffe and a bale of straw! Small but simple, this wooden set plus a fine imagination are all your child needs for a productive playtime.